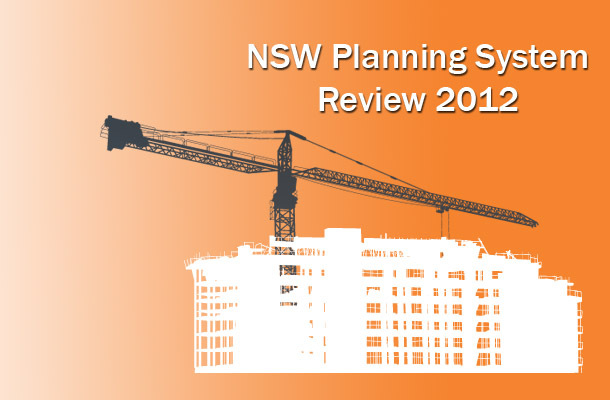 The Review of the Planning System in NSW has just completed its second and primary consultation phase. The Issues Paper was released in December 2011 and contains a list of over 300 questions for consideration. Submissions were due by 2 March 2012. The paper is a comprehensive attempt to address all of the questions raised by the Planning Review Panel as well as a number of additional issues that were not sufficiently addressed. – This review must represent a fundamental rethinking of planning in NSW – it is of concern that the issues paper seeks to tinker with many fatally flawed parts of the planning system such as private certification and Joint Regional Planning Panels (JRPPs). – The new planning system must have ecologically sustainable development at its heart and ensure that community participation and consultation are part of every decision.Community consultation should not be one of the final steps in deciding a plan but included throughout the planning and development process. – There is a need to restore balance in planning in NSW which currently favours flexibility and variations for developers even though these may be against the interests of the community and the environment. – Decision making should be returned to local councils and communities where possible, the abolition of Part 3A must be followed by moving away from direct ministerial intervention in all developments, and the abolition of unrepresentative and unaccountable JRPPs. Occupation certificates are a joke. Denying occupation to owners should ensure all the loose ends are tidied up in a timely manner. But an investigations officer within the Building Professional Board has admitted most people move in without one. Why is section 109M of the EP&A Act routinely breached and it is seen as acceptable practice?